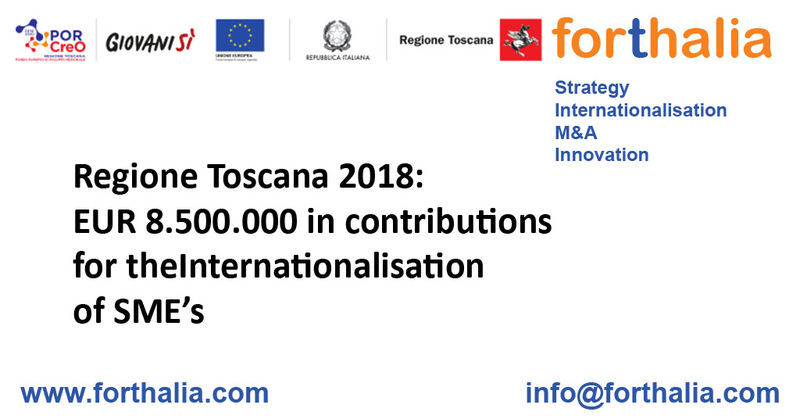 Regione Toscana has issued a non-refundable grant to promote Internationalisation activities outside the EU. Forthalia, is an international Consulting firm specialised in assisting companies approach international markets. We are available to guide interested companies to prepare for the request of these grants at no charge in exchange of a commitment to assign us the project in case of approval.